The Congressional Cannabis Caucus is a bipartisan registered Congressional Member Organization in the United States Congress, which was formed during the 115th United States Congress in 2017. The caucus was founded by Republicans Dana Rohrabacher and Don Young and Democrats Earl Blumenauer and Jared Polis. The goal of the caucus is to harmonize federal laws that prohibit medical and recreational cannabis use with state laws that permit it. Dana Rohrabacher, a Republican member of the United States House of Representatives from California, coauthored the Rohrabacher–Farr amendment, which was passed by the 113th United States Congress in 2014. The amendment prevented the United States Department of Justice from using its funding to challenge states that have approved medical cannabis laws. Meanwhile, Earl Blumenauer, a member of House of Representatives from Oregon in the Democratic Party, supported Oregon Ballot Measure 91 in 2014, legalizing recreational cannabis in Oregon. Rohrabacher endorsed the Adult Use of Marijuana Act, which legalized recreational cannabis in California in 2016, and acknowledged using medical cannabis to treat his arthritis. In 2016, Blumenauer and Rohrabacher agreed to form a congressional caucus to streamline cannabis reform legislation at the federal level, considering it a states’ rights issue. In February 2017, Rohrabacher and Blumenauer launched the caucus with Jared Polis, a Democrat from Colorado, and Don Young a Republican from Alaska. The caucus intends to increase medical research into cannabis and change regulations on banking and taxation for cannabis businesses. In the 116th Congress, Rohrbacher and Polis left Congress and were replaced by Barbara Lee, a Democrat from California, and David Joyce, a Republican from Ohio, as co-chairs. ^ “Victory: Congress ends war on medical marijuana”. San Francisco Chronicle. December 12, 2014. Retrieved February 19, 2017. ^ “Rep. Earl Blumenauer: we will end cannabis prohibition in Congress”. San Francisco Chronicle. January 28, 2016. Retrieved February 19, 2017. ^ Edwards Staggs, Brooke (May 27, 2016). “Initiative to legalize recreational marijuana in California is on track”. Orange County Register. Retrieved February 19, 2017. ^ “A GOP congressman says he used medical marijuana while in office”. Washington Post. May 25, 2016. Retrieved February 19, 2017. ^ “Congressmen to launch Cannabis Caucus in 2017 • DecodeDC”. DecodeDC. December 9, 2016. Retrieved February 19, 2017. ^ “Alaska Rep. Young is a founding member of the U.S. House Cannabis Caucus”. Alaska Dispatch News. February 16, 2017. Retrieved February 18, 2017. ^ “U.S. Rep. Jared Polis joins with congressional colleagues to create Cannabis Caucus – The Denver Post”. The Denver Post. February 16, 2017. Retrieved February 18, 2017. ^ “Pro-Pot Lawmakers Have Launched a Congressional Cannabis Caucus”. Fortune. February 16, 2017. Retrieved February 18, 2017. ^ “Pro-Pot Lawmakers to Join Forces, Launch Cannabis Caucus”. Roll Call. February 16, 2017. Retrieved February 19, 2017. ^ Strekal, Justin. “Congressional Cannabis Caucus Co-Chairs Announced”. Blog.norml.org. Retrieved January 9, 2019. 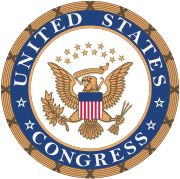 ^ “Blumenauer Announces Co-Chairs of Congressional Cannabis Caucus for 116th Congress”. Blumenauer.house.gov. Retrieved January 9, 2019.